Experiencing the Unique Touch of Truck Mount Carpet Cleaning in Woodinville, WA. Truck mount carpet cleaning is an effective way of getting your floor very clean and neat. Carpets are prone to retain several unhealthy items such as debris, dirt and allergens. These unhealthy items can damage the health of your body. In fact, it can go a distance to damage the appearance of your carpet also, When this occurs, you are prone to spend extra money on your health and property? Do you fold your arms and allow allergens destroy your health because of poor carpet cleaning solution? For this reason, our service is established so you can experience the unique touch of truck mount carpet cleaning in Woodinville, WA.To be upfront here, truck mount carpet cleaning remains an innovative method of keeping your carpet in great shape. It comes with great features to clean your carpet. It is easy to use by trained professional and works faster to offer you the best cleaning solution with respect to carpet issues. Our company is proud to unleash the best solution for customers experiencing the unique touch of truck mount carpet cleaning in Woodinville, WA. Our service is cost-effective. 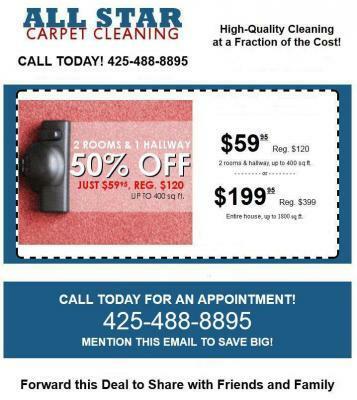 Even if you are on a budget we use cutting edge technology to solve your carpet cleaning needs effectively. This simply means, you will not be spending extra money that you don’t need to. Our service always considers the interest of clients. For this reason, you will surely find an affordable truck mount carpet cleaning solution that glows with pride. Our service remains one of the most cost effective that you can find in the industry. Our staff works diligently to give you the best result on your carpet cleaning needs. You can contact us today for more details.